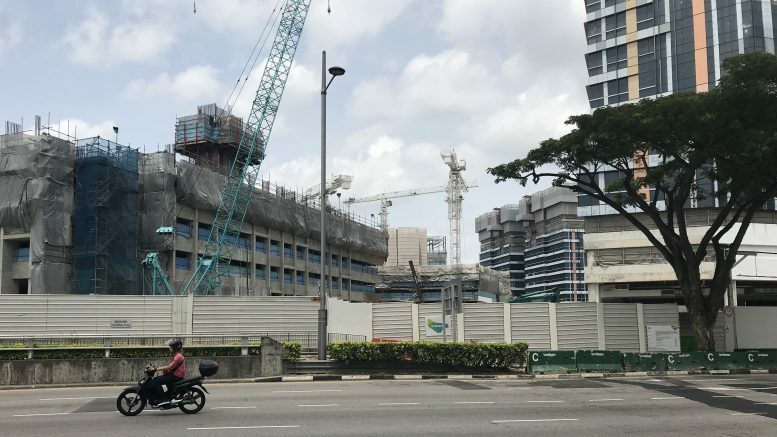 The “stellar” en bloc rally in Singapore’s property market is nearing its peak and should slow heading into the second half of the year, RHB said in a note on Tuesday. RHB said that the developer “fatigue” for en bloc deals was reflected in the premiums that they’ve been paying over the reserve price, which is down to 5 percent this year, compared with 10 percent in 2017. To be sure, other analysts are expecting the collective sales will continue. Tang Wei Leng, managing director at real-estate services company Colliers International, said in a note earlier this month that the “brisk” en bloc activity in the first quarter — 17 deals worth S$5.83 billion, up nearly 30 percent from the fourth quarter — was set to continue. Unlike RHB, she said she expected the larger sites would appeal more to developers for the ability to add more facilities and landscaping. “Young families, local and expatriate, increasingly appreciate more sizeable and spacious residential developments that offer recreational as well as social areas where residents can mingle and build bonds,” she said. Additionally, Tricia Song, head of research for Singapore at Colliers International, said in the same note that while the premiums developers were paying appeared lower, it wasn’t necessarily mean collective sales were cooling. To be sure, while RHB was downbeat on the collective sales’ outlook, it still said it expected property prices to climb 5 percent to 10 percent this year, although it wasn’t certain how sustainable the increases would be. “The near-term market remains well supported – with ample liquidity from en bloc sales, a lower unemployment rate (2.1 percent), and higher GDP growth,” RHB said. But on the longer term outlook, it noted tighter immigration policies were restricting population growth, and that the rental market and public housing apartment resale prices were weak, and in the latter’s case declining. RHB said it was sticking with an Overweight call on the property market. It tipped APAC Realty as its preferred pick as it benefits from both higher primary and secondary sales volumes. Among big caps, it said its top pick was CapitaLand as a laggard play, and it also said it expected City Developments to benefit from its “strategic landbanking” and better prospects for its hospitality assets.